Unleash you inner artist and create a makeup masterpiece every day with the Sugar Blend The Rules Eyeshadow Quads. With a range of 17 high performing mattes and extra creamy mettalics, these super pigmented shades are infinitely smooth and incredibly easy to blend. 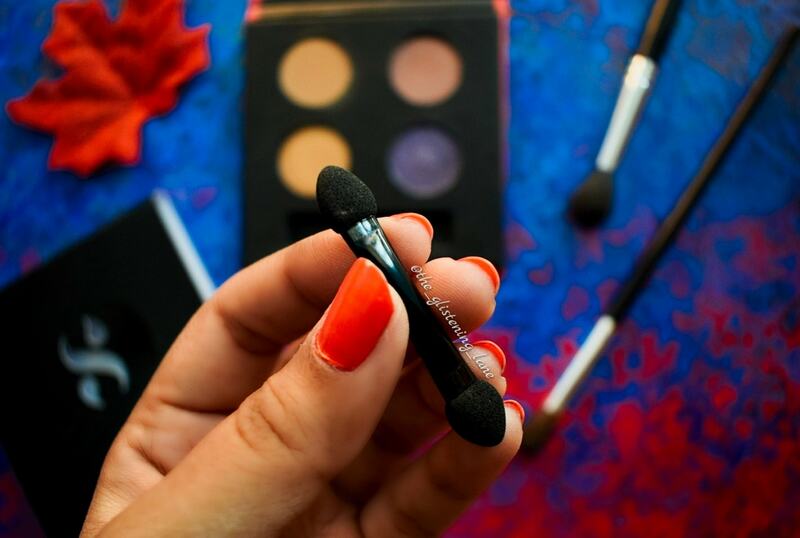 Snap up these jaw-dropping hues in 18 captivating quads that come with a dual ended sponge applicator. But wait, did we bring up its uber-chic packaging yet? 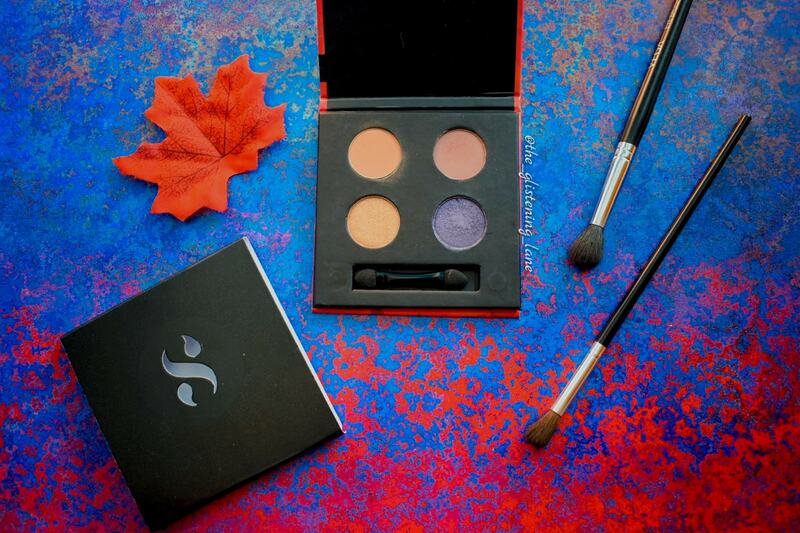 This gorgeous tray of colours is built to dethrone the current pride of your vanity display. Talk about eye candy! 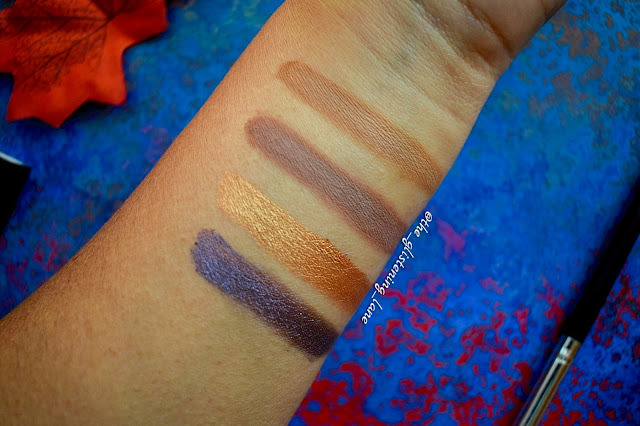 If you’re looking to flaunt a neutral pop look, it’s time to get Scandalous with this killer assortment of cream, subtle mauve, metallic purple and bright gold. 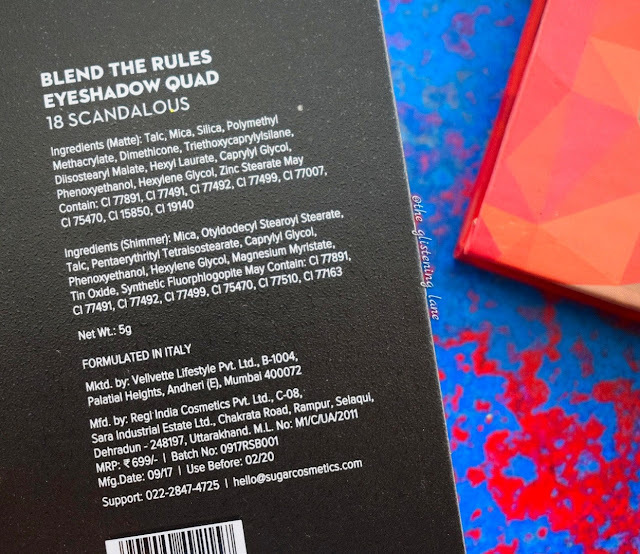 Each of the 17 shades in the Sugar Blend the Rules Eyeshadow Quad range is richly pigmented, blendable, without loss of pay off and lasts for hours without creasing or smudging. This product is dermatologically tested and approved & 100% safe for your skin. 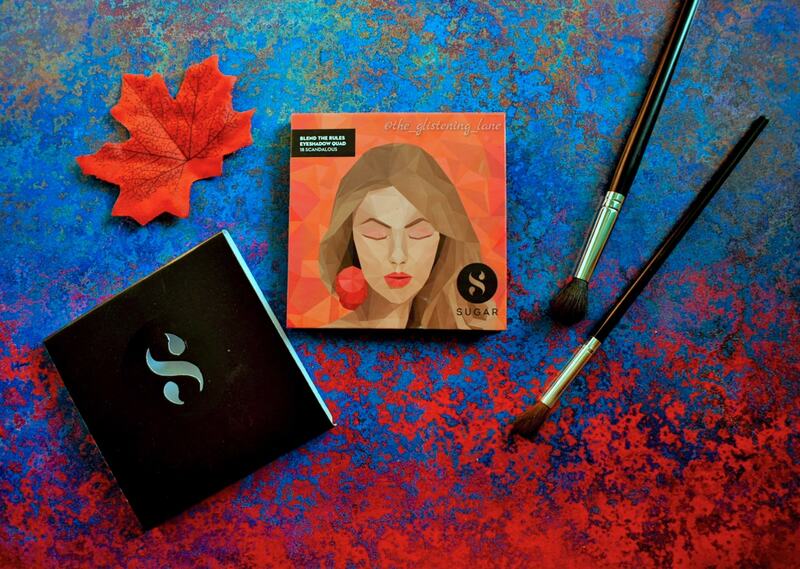 Sugar Blend the Rules Eyeshadow Quad comes in a cardboard sort of framework with its beautiful trademark lady, made with prism design. The quad comes with a q-tip applicator but not a brush. Also, it lacks mirror but it probably is the reason why the quad is quite light weight and travel friendly. I love the packaging; it’s something unique but yes there are few things that can improve the palette. 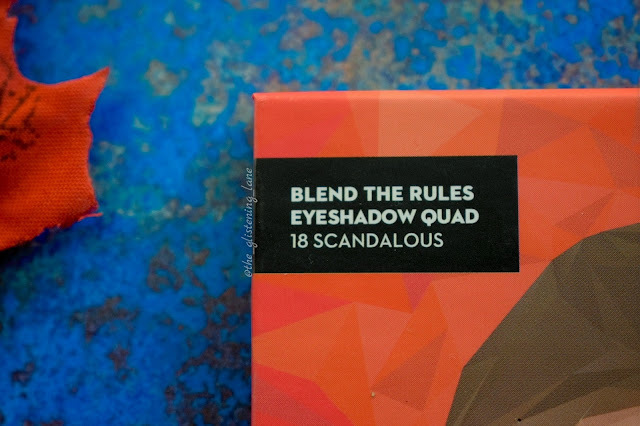 Before I booked my December Fab Bag, I had already heard raved reviews on Sugar’s newly launched Blend the Rules Eyeshadow Quad. Some of the co-bloggers that got the opportunity to book it asap, told me how these are super soft. 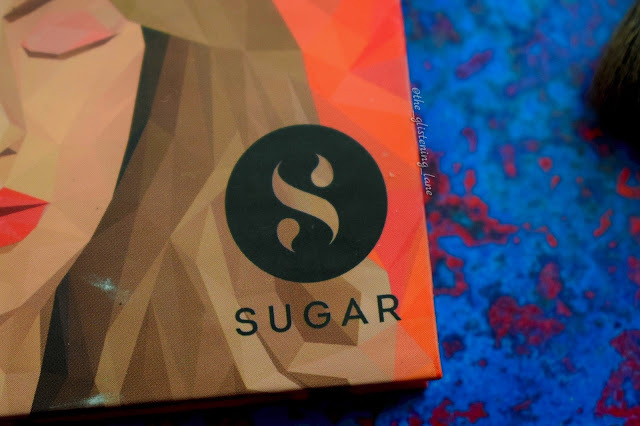 I’ve always seen new launches of Sugar Cosmetics coming up in Fab Bag; thus I didn’t order any for myself. Thankfully, I got to select the shade and I got to agree that these quads have some amazing shades and you can create one or two complete looks using these. If you happen to be a pro at makeup, I’m sure you can reach much brighter goals than an amateur me. I booked the shade 18 Scandalous because of the pretty Golden Metallic shade it had; that has to be my sole reason. In fact, I was hunting for dupes of all these quad shades while clicking pictures for the blog post. I happen to notice that easy dupes were there for almost 3 shades but there was nothing like this perfect golden that my vanity lacked! It can go so well for the Wedding Seasons. Let’s get more serious about the reason as to why you should grab these quads. Firstly, the texture of these eyeshadows is buttery soft; especially in case of the metallic shades. 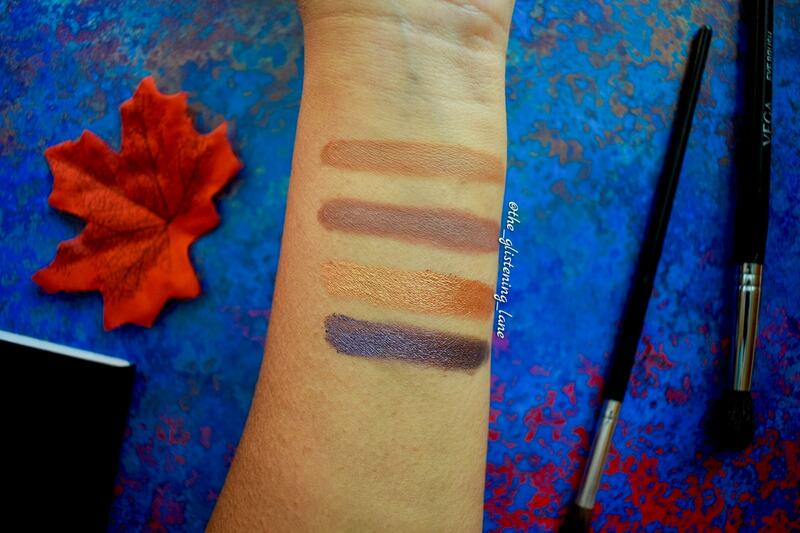 Often, I’ve encountered that the matte shades are not really pigmented. It is easy to find glittery pigmented shades but not the matte ones. 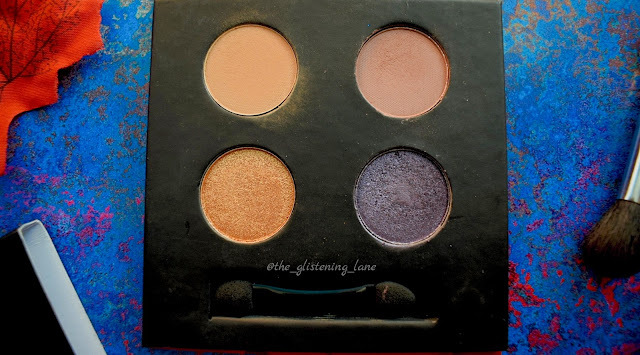 This quad has some good matte shades and all the eyeshadows are well pigmented. You can use these eyeshadows dry or wet (by damping the brush). The metallic shades perform beautifully when once you employ some H2O. I like to use my finger for applying the glittery shade as it occupies majority of the space and brush fails to give me a desired pigmentation in quick time. So, I happen to love applying my eyeshadows that way, until and unless it’s crease area I’m working in. I love the pigmentation, colours, texture and possibly everything! If you’re okay with that price point, definitely pick these!! For me personally, I’d probably spend a little more and get my hands on a palette which would offer more than 6 eyeshadow colours. Quality wise, it’s insanely good!